How can we know God’s plan for our lives? ‘Let’s Talk About…’ is a series of cafe style, evening meetings which provide an opportunity to talk through some of life’s difficult topics, in a relaxed informal setting. Each evening will seek to address a different question and discuss a particular topic. There will also be cheese, crackers and other refreshments available during the evening. 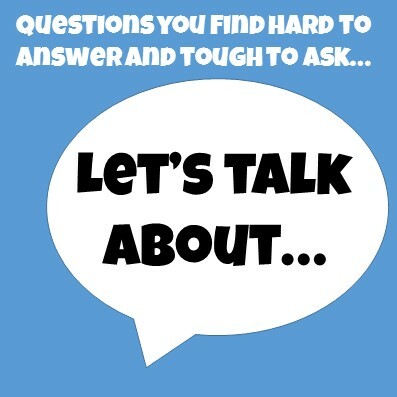 These evenings are for anyone wanting to ask these questions for themselves, but will also be great for friends and family who have these kinds of questions too. 17 March – How do we make sense of all the suffering in the world? 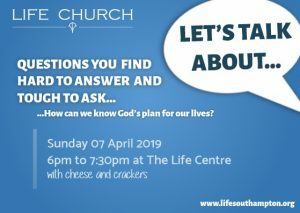 07 April – How can we know God’s plan for our lives?